Patterns full of pictures and drawings with extremely detailed step by step guide on all parts. Many have remarked that they have never seen such a full set of instructions: each is like a small class in doll making. 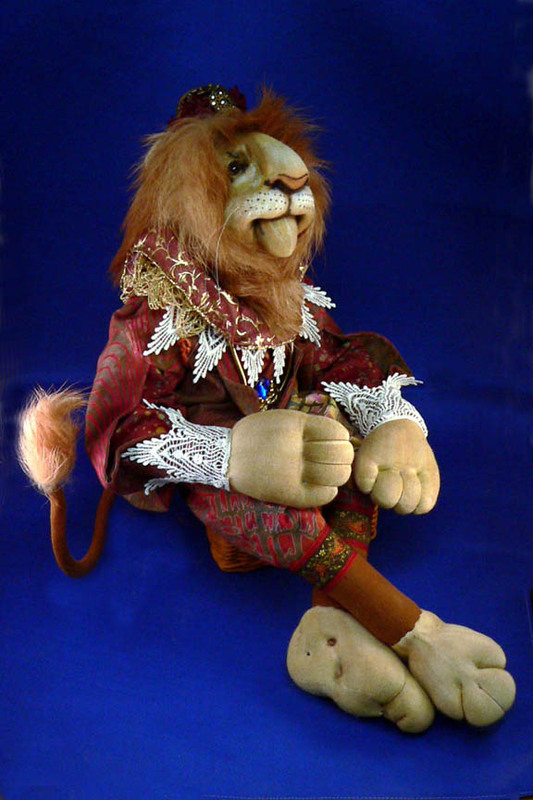 Leopold is an 18” lion dressed in a Renaissance costume. Pattern includes directions for sculpting the head and paws plus making a flexible body. Sculpted face, hands and paws plus detailed clothes. Very detailed creation. Costume templates are included. This pattern includes directions to make a mermaid doll with fully needle sculpted hands, a contoured torso and a weighted tail. Included are basic directions to create the face and attach the hair. 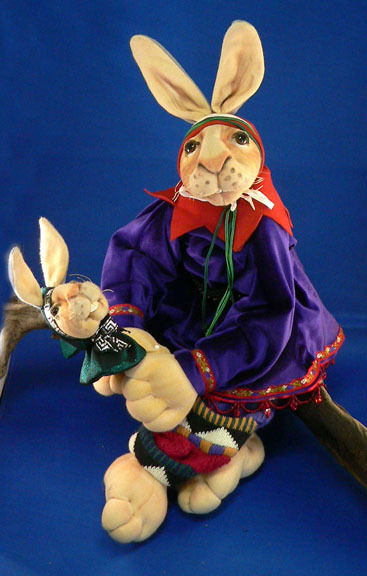 The doll measures 16 inches long by 8 inches high. Puss‘n Boots steps flamboyantly out of the pages of a fairytale, sporting his wonderful signature boots. 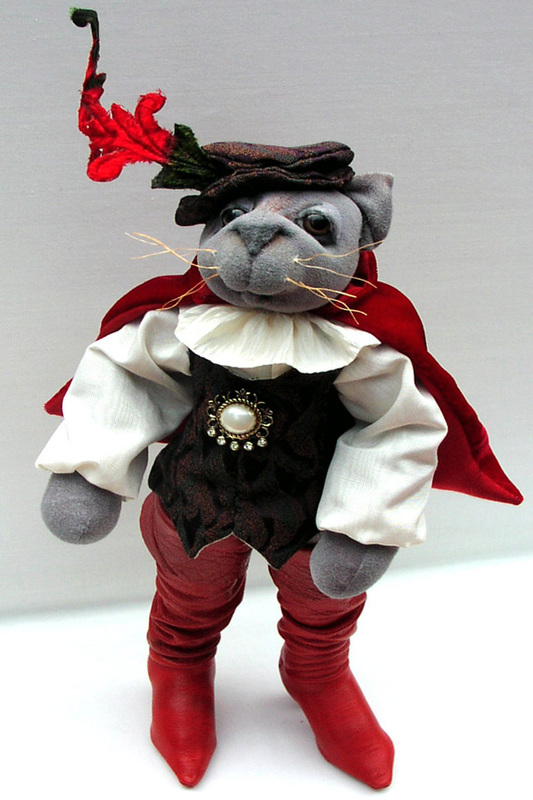 He measures 15 inches in height and dresses in a dashing cape and hat. Puss ‘n Boots is able to stand freely without aid. $25 US combined minimum order size for international shipping. Inquire to: KShifton@gmail.com for rates.